Any audiophile knows that the only way to experience music is on vinyl, but there are special considerations that you need to make to ensure you are hearing the clearest sound possible. It’s important to maintain the needle, or stylus, on your turntable as even the slightest scratches or heaviness can cause damage to the vinyl or your records and clog the sound. If your records are sounding fuzzy or a little “off”, here’s some ways to determine if it’s time to change your stylus — or take a few minutes and clean and calibrate it. Don’t wait until there is permanent damage when a little preventative maintenance might do the trick. We’ll walk through how to recognize early warning signs of an eminent problem, and steps you can take to make it better. It can be tough to tell the difference between a stylus that needs to be cleaned or replaced or dust on your records, as they have similar effects on the sound. If you’re hearing muzziness in the sound, or if the needle is full of dirt and grime, it is time to take some action. If a record you’ve successfully played in the past suddenly sounds “odd”, or if the treble sounds begin to lose clarity, these are all signs of aging. Of course, an indicator that you may need to clean or replace the needle is when it randomly jumps out of the record groove and begins to skip (although this could be caused by an incorrectly-leveled turntable, or poor settings on your anti-skate.) A degree of wear is to be expected on a stylus, and you’re likely to see more wear on the outer edge than on the interior because the cartridge tends to track inwards towards the center. Pro tip: Don’t have the special brush and cleaner? You can also gently clean your stylus with a Q-tip and rubbing alcohol! Simply follow the steps above to ensure you don’t damage the delicate tip. If you’re only using your turntable periodically, there’s no need for a weekly (or even monthly!) cleaning schedule. Many people go years between cleanings, but it all depends on the quality of sound you’re getting and the level of dust in the environment. What’s important is to clean or replace your stylus when you start to notice sounds that aren’t as bright as they should be, because that’s a clear indicator that attention to the needle is needed. Some audiophiles recommend replacing their needle every 800-1,000 hours of playing time. Since a stylus is made of diamond, it’s often more attractive to clean the needle than to replace it. However, should you have an older turntable or one that has been damaged in some way, replacing the stylus is the only way to go. Want the best sound possible out of your turntable? Proper stylus maintenance will provide you with years of uninterrupted pleasure from your favorite artists. When it does come time to change your stylus be sure to select a compatible stylus for your specific turntable. 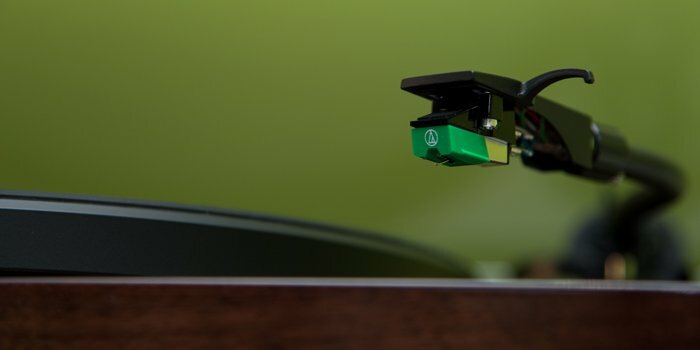 For the RT81 Turntable you can purchase a replacement stylus here.